For our solution, we developed and installed a system that would acquire, analyze and report the vibration levels recorded at 20 locations around the Generator Set structure. We used a National Instruments (NI) CompactDAQ Ethernet chassis (cDAQ-9188) with 8 dynamic signal acquisition (DSA) input modules, NI 9234 and NI 9229, to condition, synchronize and digitize the acceleration and voltage signals. The NI 9234 module was connected to accelerometers for collecting accurate high-speed vibration measurements. The NI 9229 module was connected to a magnetic pickup sensor to determine the rotational speed of the generator. We chose the NI 9229 module because it combined a high resolution with a wide voltage range, and was able to be synchronized with the NI 9234 module. We chose the NI cDAQ-9188 Ethernet chassis with Ethernet connectivity because the test cells had an existing Ethernet network. We used our configuration based data acquisition and analysis iTestSystem software, which was built using NI LabVIEW system design software, to acquire and view the vibration data generated by NI cDAQ hardware. We also created a custom plug-in for iTestSystem that generated vibration reports and animated vibration modes. 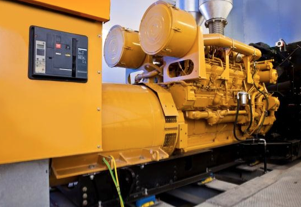 Our customer needed a reliable system to test the vibration levels of its Generator Sets prior to field deployment so they could validate their design and manufacturing. They also wanted the test system to record synchronized, high-speed data that could be used by engineers to troubleshoot structural problems if they occurred. By leveraging integrated hardware and software from NI, we were able to provide our customer with a solution that enabled their test cell technicians to measure structural vibration levels safely, quickly and efficiently. They are now identifying and fixing structural flaws of their generator sets earlier in the process to create higher quality products for their customers. 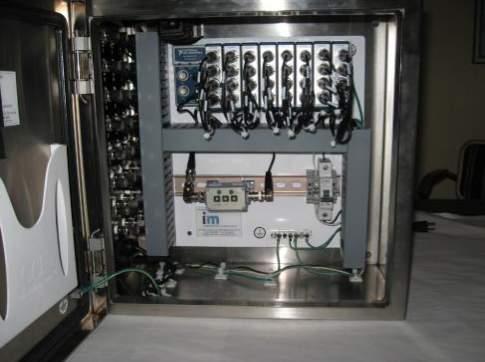 The flexibility and quality of the NI CompactDAQ platform combined with LabVIEW system design software allowed us to build a custom and high- performance test system for this customer in a short amount of time, saving us and our customer substantial costs. We’ve used USB and Ethernet-based NI CompactDAQ systems and our iTestSystem software, based on NI LabVIEW, for years to build high-performance data acquisition and test systems for our customers in the power generation, off-highway, rail and in-vehicle markets. Since these applications require a more portable solution with built-in data logging features, the new stand-alone NI CompactDAQ systems will provide us with more logging and processing capabilities within the CompactDAQ platform. Additionally, since the new NI cDAQ-913x systems can be used with our NI LabVIEW-based iTestSystem software, the NI DAQmx driver and 50+ existing NI C Series modules, we’ll be able to convert our existing Ethernet CompactDAQ system to the new stand-alone NI CompactDAQ systems with very little effort. Our solution enabled our customer to quickly determine if their Generator Sets had failed their designed vibration criteria. If a failure had occurred, engineers could then use the same synchronized vibration data to quickly identify structural problems and proactively adjust the design to remedy flaws prior to deployment to the end customer. By catching these structural dynamics problems in the factory and not in the field, our customer has realized a substantial cost savings because of the reduced time and expenses associated with similar field validation tests.